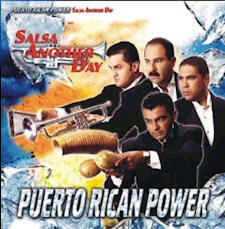 5 FREE tickets for the Nov. 5th, 2004 concert of "Puerto Rican Power" at Coconut Grove have been given away. On Sept. 29, Tino Barbosa, a restaurant/nightclub-owner, award-winning salsa musician, Latino community leader, and 16-year resident of Greater Cincinnati, was arrested by the Covington Police at his restaurant/bar, La Tradicion at 106 Fourth St. Charges included assault on a police officer and resisting arrest. If convicted, he faces possible deportation.